Pittsburgh Steelers: Can Zach Mettenberger Be An Effective Backup? The reigning AFC North champion Pittsburgh Steelers are loaded on offense, but could Zach Mettenberger take the backup quarterback spot in 2017? Pittsburgh Steelers starting quarterback Ben Roethlisberger has certainly proven his mettle in 13 NFL seasons. He’s helped guide the team numerous playoff appearances. The club has made three trips to the Super Bowl during his tenure and walked away with a pair of Lombardi Trophies. The solid signal-caller, who turns 35 on March 2, has also been his own worst enemy at times in terms of injuries. He’s one of the tougher players at his position but has also missed a combined six games the past two seasons. For the most part, his replacement has been Landry Jones. But the four-year pro is slated to become an unrestricted free agent exactly one week after Big Ben blows out his birthday candles. Meanwhile, the Steelers also have former LSU standout Zach Mettenberger on the roster. A sixth-round selection by the Tennessee Titans back in 2014, he saw action in a combined 14 games with the club in two seasons. He has a total of 10 starts and was never on the winning side of the scoreboard. After being released during the 2016 offseason in mid-May, he latched on with former Titans head coach Ken Whisenhunt in San Diego—but only temporarily. Three months later, he was cut loose by the Bolts and signed with the Steelers a day later. The 6-5, 224-pound quarterback didn’t play a down in 2016. His career resume includes a 60.3 completion percentage. He has a dozen touchdown passes and 14 interceptions and lost four of his eight fumbles. He’s also taken 31 sacks in those 14 contests. So are the Steelers ready to move on from Jones. 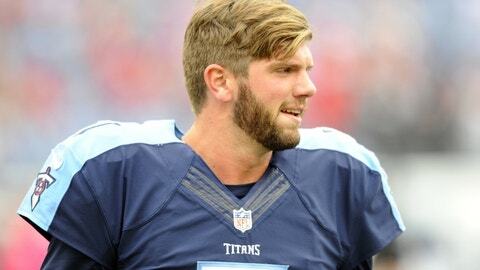 Is Mettenberger worth keeping on the roster and developing as Ben’s successor?